A little over a year and a half ago, Verizon CFO Fran “ShamWow” Shammo told the world that his company was a “leader” not a “follower” and that they wouldn’t be jumping on the rollover data bandwagon. If the image below, along with a confirmation from a source of ours is to be believed, Shammo may have some explaining to do. By this Friday, Verizon could introduce not only “carryover” data, but a safety mode and free roaming to Canada and Mexico, as well. All of these new features should launch within The Verizon Plan. Carryover Data: It’s exactly like rollover data from AT&T, in that if you have unused data from this month, you’ll be able to use that unused data next month and next month only. This should be included in S, M, L, XL, and XXL plans at no extra charge. Safety Mode (throttled unlimited data): This sounds like a feature that can be added on that allows you to continue to use Verizon data after you have gone over your monthly allotment at no extra charge. The data speeds will be “reduced” heavily, I’d imagine, until you either buy more high-speed data or hit your next billing cycle. This option is only free to XL and XXL plans. If you are on any other plan (S, M, and L), you’ll have to add on Safety Mode for $5 per month. Free Data/Text Roaming to Mexico and Canada: Well, free for some. 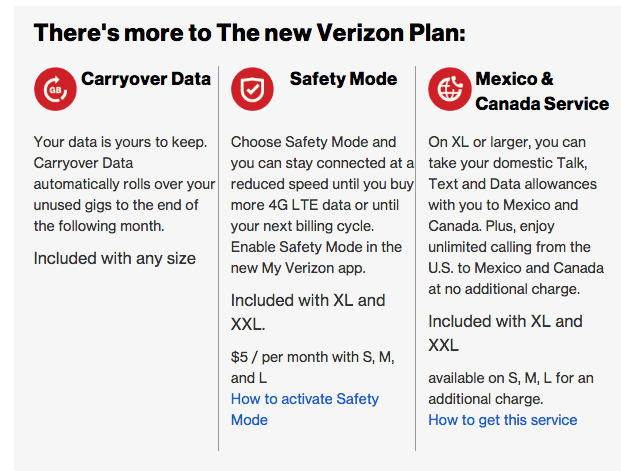 Like Safety Mode, Verizon will allow XL and XXL plans to use text and data allowances when in Mexico and Canada. Unlimited from the US to Mexico and Canada is also included. If you are on a S, M, or L plan, you’ll have to pay extra for this feature. Again, here is the image, which first surfaced over at reddit. As I mentioned above, at least one source of ours was able to confirm the changes to The Verizon Plan and said to expect them on Friday. 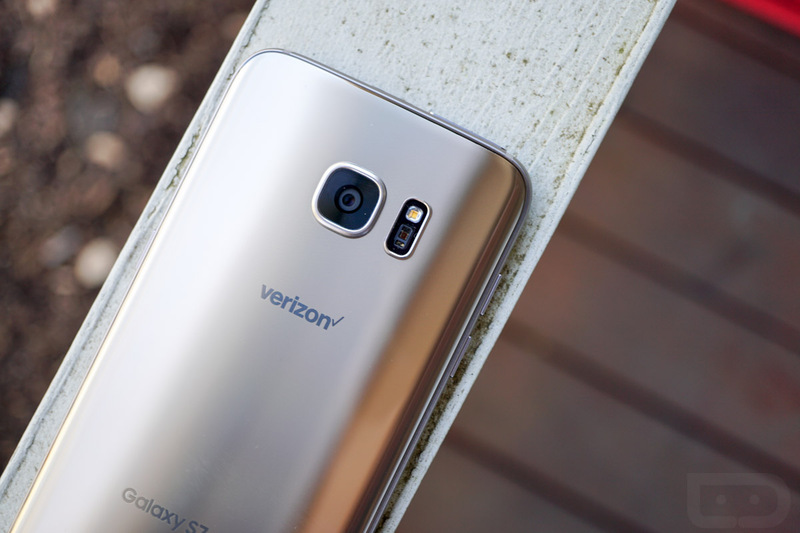 We’ve also reached out to Verizon for a more official confirmation and will update this post if we hear back. UPDATE: Verizon responded by saying that they are “going to have some fireworks next week” and to stay tuned. UPDATE 2: According to sources of ours, it looks like July 7 will be the day this all goes down. The Friday date came from the reddit thread linked below, but July 7, a Thursday that also isn’t the day before a long holiday weekend where no one would be paying attention, makes a lot more sense. This also matches up to Verizon’s statement about “fireworks next week.” Additionally, many of the plans are said to be receiving a bump of up to 30% more data, along with the carryover data, safety mode, etc.